It's been 38 years since the original Star Wars film hit theaters. This past Friday, Disney released the much anticipated latest installment in the franchise, Episode VII: The Force Awakens. I am thrilled and honored (and, honestly, relieved that I get to go see this film without the pressure of writing a review) to have a knowledgeable fan, +Nicholas Neagle, guest post on my blog today with his review of the film that is taking the world by storm. Whether you're a parent looking to see if the film is right for your kids or just a Star Wars fan looking for a NO-SPOILERS review, you're in the right place. In all fairness, I am a huge fan of all things Star Wars. I have enjoyed each and every movie, TV show, book, etc. that I was lucky enough to experience. This year’s release of The Force Awakens was no different. I was not sure what to expect, not only as a lifelong fan, but a dad taking my 10 and 14-year old to see their first new Star Wars movie in the theater. To be honest, I don’t think anyone who wants to see this movie has to have seen any of the other previous films, but it sure helps to understand a lot of the backstory and, especially, the inside jokes. This story does fit well into the Star Wars universe even though there is a 30-year gap between this film and Episode VI: Return of the Jedi. The movie begins where it should, with a backdrop of space and the ships that are the co-stars of the entire series. We meet several new characters at the beginning of the film. There is Poe Dameron (Oscar Isaac), someone whose skill rivals very few in the Star Wars universe. Then we meet both Finn, played by John Boyega, and Rey, played by Daisy Ridley, two characters that will obviously become a very important part of the awakening. The action gets off to a great start with our new baddies, The First Order. They prove immediately they are not messing around trying to reclaim the Empire’s stronghold. Their current henchman, Kylo Ren (Adam Driver), also quickly proves he is not to be reckoned with, and he forces the story to take a strong jolt into the fight between the Resistance and the First Order. From here, we begin to meet some old friends again such as Chewie and the much anticipated return of Harrison Ford as Han Solo. This has to be one of the most rewarding parts of the movie, besides a part at the end, which I won’t spoil. Han and Chewie help our new friends with their discovered mission surrounding, you guessed it, a droid everyone is looking for. The older characters have such presence that they are given a warm welcome each time someone appeared. In addition, everyone in the theater cheered for minutes each time. Rey and Finn must begin to learn about themselves as much as their mission. Rey begins to look inward to her new found knowledge, and Finn begins to see what type of strength he has inside of him to help the Resistance. They do get lots of help from our friends from the old stories, but in the end, the story is about the awakening, the new forces of light and dark. There are many great chases, battle scenes, emotional scenes, and a great deal of humor tossed in as well. One thing for long time fans, there are many, and I mean many, references to the original trilogy. It will be fun to look for even more on addition viewings. Overall, the movie really hit a good spot for me and I think it is an instant winner, and I think most will see it more than once as well. I will warn parents that there are a few scary moments for smaller kids, and certainly some emotional ones for everyone. Director J.J. Abrams has helped Disney bring back Star Wars to the big screen and opened up a new story that we all will enjoy. 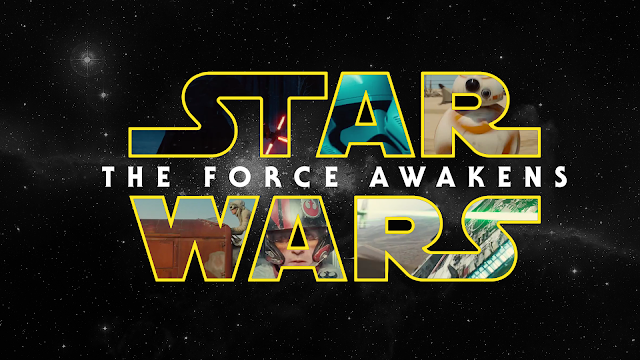 Star Wars: Episode VII: The Force Awakens is rated PG-13 for sci-fi action violence. Read more Family Movie Reviews on Lavender Inspiration. Have to go see it now that I am off for two weeks....Brings back a lot of memories. Harrison Ford still looks good to me even at his age 71. Yes, he has always been one of my favorite actors. Thanks for reading and commenting.